Our community publications are used daily by the residents living in the 55+ retirement communities. Our graphic design team helps each community create high quality publications that are easy to read and enjoyed by everyone living in the community. We provide comprehensive design and printing services for 55+ active adult communities. As a community publisher, we provide the following services: monthly newsletters, annual community directories, event books for clubs and activities, governing documents, and many, many more. For most communities, the community newspaper is the primary means of communicating information to the residents on a monthly basis. 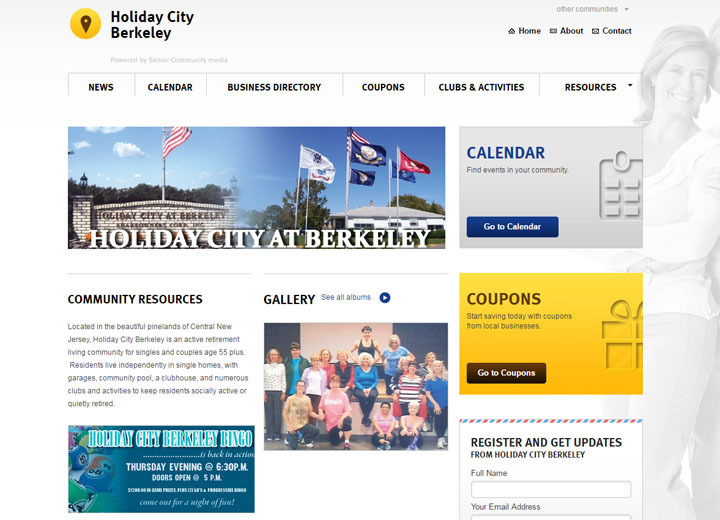 The official community newspaper for the (9) communities in Holiday City and Silver Ridge Park. These 9 communities represent approximately 30,000 residents. Our convenient sized, larger print telephone directories are preferred by residents because they can quickly and easily find information in a snap. We offer communities the opportunity to present their newsletter content using digital media. We are helping communities present their community information on a website, a clubhouse TV, a computer, and even mobile devices. We are helping our customers create digital content that can shared easily with their residents.